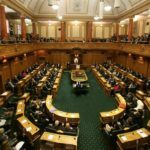 Te Puni Kōkiri (TPK) officials were barely consulted over the Governent’s formal analysis of the impact of the Trans Pacific Partnership Agreement on New Zealand, leaving doubts that the impact on Māori was properly assessed, the Green Party says. 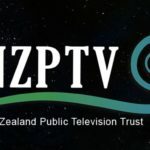 Emails released to the Green Party under the Official Information Act show TPK weren’t given enough time to read the agreement, and its written submissions on the National Interest Analysis amounted to three short emails over two days. “Consultation with TPK over the National Interest Analysis was inadequate, and raises real concerns about how properly the impact of the TPPA on Māori was assessed by the Government,” Green Party Māori Development spokesperson Marama Davidson said. “Te Puni Kōkiri had so little time to provide feedback on cultural implications of the TPPA that its officials didn’t even have time to read the paperwork. Three short emails over two days is not enough. TPK officials asked that MFAT re-write its “Consultation with Māori” section so it didn’t claim that TPK had engaged Māori participation in the stakeholder considerations. Instead, TPK wanted the section to state that TPK had “confirmed an approach for stakeholder engagement concerning Free Trade Agreements” and that MFAT had applied this approach for its own outreach. 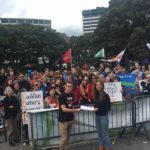 “It looks like TPK officials were concerned that MFAT were overstating the consultation with their officials, and that is why they asked the changes to be made. “This leaves real doubt that the impact of the deal on Māori, and on the Treaty, were properly assessed. NextTrade Barriers – It’s what you can’t see that really hurts!